The research found that the user’s click rate on hard news is affected by the positioning of the content on the page by the filtering algorithm. The same link placed at the top of the feed is about 10-15% more likely to get a click than a link at position #40 (figure S5). The study then found that the algorithm filters out 1 in 20 cross-cutting hard news stories that a self-identified conservative sees (or 5%) and 1 in 13 cross-cutting hard news stories that a self-identified liberal sees (8%). Finally, the research then showed that “individuals’ choices about what to consume” further limits their “exposure to cross-cutting content.” Conservatives will click on only 17% a little less than 30% of cross-cutting hard news, while liberals will click 7% a little more than 20% (figure 3). We would expect that people who are given the choice of what news they want to read will select sources they tend to agree with–more choice leads to more selectivity and polarization in news sources. Increasing political polarization is normatively a bad thing. Selectivity and polarization are happening on Facebook, and the news feed curation algorithm acts to modestly accelerate selectivity and polarization. I think this should not be hugely surprising. For example, what else would a good filter algorithm be doing other than filtering for what it thinks you will like? But what’s really provocative about this research is the unusual framing. This may go down in history as the “it’s not our fault” study. Facebook: It’s not our fault. Alarm bells are ringing for me. The tobacco industry might once have funded a study that says that smoking is less dangerous than coal mining, but here we have a study about coal miners smoking. Probably while they are in the coal mine. What I mean to say is that there is no scenario in which “user choices” vs. “the algorithm” can be traded off, because they happen together (Fig. 3 [top]). Users select from what the algorithm already filtered for them. It is a sequence. **** I think the proper statement about these two things is that they’re both bad — they both increase polarization and selectivity. As I said above, the algorithm appears to modestly increase the selectivity of users. The only reason I can think of that the study is framed this way is as a kind of alibi. Facebook is saying: It’s not our fault! You do it too! These statements may be factually correct but I found them to be misleading. At first, I read this quickly and I took this to mean that out of the at least 200 million Americans who have used Facebook, the researchers selected a “large” sample that was representative of Facebook users, although this would not be representative of the US population. The “limitations” section discusses the demographics of “Facebook’s users,” as would be the normal thing to do if they were sampled. There is no information about the selection procedure in the article itself. That #4 is very significant. Who reports their ideological affiliation on their profile? 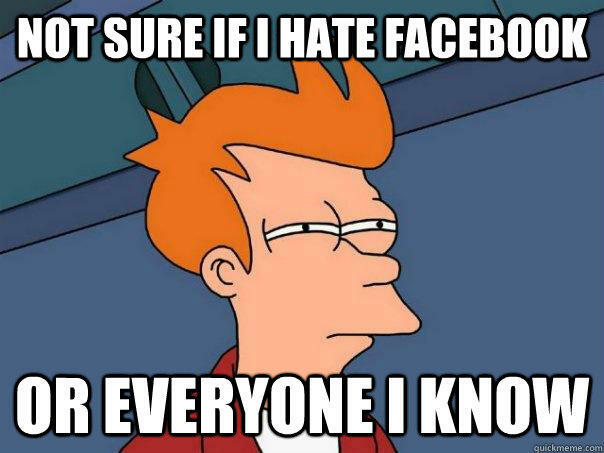 It turns out that only 9% of Facebook users do that. Of those that report an affiliation, only 46% reported an affiliation in a way that was “interpretable.” That means this is a study about the 4% of Facebook users unusual enough to want to tell people their political affiliation on the profile page. That is a rare behavior. More important than the frequency, though, is the fact that this selection procedure confounds the findings. We would expect that a small minority who publicly identifies an interpretable political orientation to be very likely to behave quite differently than the average person with respect to consuming ideological political news. The research claims just don’t stand up against the selection procedure. Last year there was a tremendous controversy about Facebook’s manipulation of the news feed for research. In the fracas it was revealed by one of the controversial study’s co-authors that based on the feedback received after the event, many people didn’t realize that the Facebook news feed was filtered at all. We also recently presented research with similar findings. I mention this because when the study states it is about selection of content, who does the selection is important. There is no sense in this study that a user who chooses something is fundamentally different from the algorithm hiding something from them. While in fact the the filtering algorithm is driven by user choices (among other things), users don’t understand the relationship that their choices have to the outcome. In other words, the article’s strange comparison between “individual’s choices” and “the algorithm,” should be read as “things I choose to do” vs. the effect of “a process Facebook has designed without my knowledge or understanding.” Again, they can’t be compared in the way the article proposes because they aren’t equivalent. Facebook is a private corporation with a terrible public relations problem. It is periodically rated one of the least popular companies in existence. It is currently facing serious government investigations into illegal practices in many countries, some of which stem from the manipulation of its news feed algorithm. In this context, I have to say that it doesn’t seem wise for these Facebook researchers to have spun these data so hard in this direction, which I would summarize as: the algorithm is less selective and less polarizing. Particularly when the research finding in their own study is actually that the Facebook algorithm is modestly more selective and more polarizing than living your life without it. Wow, if you think I was critical have a look at these. It turns out I am the moderate one. A comment helpfully pointed out that I used the wrong percentages in my fourth point when summarizing the piece. Fixed it, with changes marked. It’s now one week since the Science study. This post has now been cited/linked in The New York Times, Fortune, Time, Wired, Ars Technica, Fast Company, Engaget, and maybe even a few more. I am still getting emails. The conversation has fixated on the <4% sample, often saying something like: "So, Facebook said this was a study about cars, but it was actually only about blue cars.” That’s fine, but the other point in my post is about what is being claimed at all, no matter the sample. If the coal mine metaphor failed me, what would be a better metaphor? I’m not sure. Suggestions? * Diversity in hard news, in their study, would be a self-identified liberal who receives a story from FoxNews.com, or a self-identified conservative who receives one from the HuffingtonPost.com, where the stories are about “national news, politics, [or] world affairs.” In more precise terms, for each user “cross-cutting content” was defined as stories that are more likely to be shared by partisans who do not have the same self-identified ideological affiliation that you do. ** I don’t want to make this even more nitpicky, so I’ll put this in a footnote. The paper’s citations to Mutz and Huckfeldt et al. to mean that “exposure to cross-cutting viewpoints is associated with lower levels of political participation” is just bizarre. I hope it is a typo. These authors don’t advocate against exposure to cross-cutting viewpoints. **** In fact, algorithm and user form a coupled system of at least two feedback loops. But that’s not helpful to measure “amount” in the way the study wants to, so I’ll just tuck it away down here. ***** Facebook is behind the algorithm but they are trying to peer-review research about it without disclosing how it works — which is a key part of the study. There is also no way to reproduce the research (or do a second study on a primary phenomenon under study, the algorithm) without access to the Facebook platform. ****** In this video, I intentionally conflate (1) the number of posts filtered and (2) the magnitude of the bias of the filtering. I did so because the difficulty with the comparison works the same way for both, and I was trying to make the example simpler. Thanks to Cedric Langbort for pointing out that “baseline error” is the clearest way of explaining this. Anyone tackling fieldwork these days can chose from a wide selection of digital tools to put in their methodological toolkit. Among the best of these tools are platforms that let you archive, analyze, and disseminate at the same time. It used to be that these were fairly distinct stages of research, especially for the most positivist among us. You came up with research questions, chose a field site, entered the field site, left the field site, analyzed your findings, got them published, and shared your research output with friends and colleagues. But the post-positivist approach that many of us like involves adapting your research questions—reflexively and responsively—while doing fieldwork. Entering and leaving your field site is not a cool, clean and complete process. We analyze findings as we go, and involve our research subjects in the analysis. We publish, but often in journals or books that can’t reproduce the myriad digital artifacts that are meaningful in network ethnography. Actor network theory, activity theory, science and technology studies and several other modes of social and humanistic inquiry approach research as something that involves both people and devices. (Yes yes we know but these wikipedia entries aren’t bad.) Moreover, the dissemination of work doesn’t have to be something that happens after publication or even at the end of a research plan. Nikki’s work involves qualitative ethnographic work at field sites where research can last from five months to a brief week visit to a quick drop in day. She learned the hard way from her research for Making News at The New York Times that failing to find a good way to organize and capture images was a missed opportunity post-data collection. Since then, Nikki’s been using Pinterest for fieldwork image gathering quite a bit. Phil’s work on The Managed Citizen was set back when he lost two weeks of field notes on the chaotic floor of the Republican National Convention in 2000 (security incinerates all the detritus left by convention goers). He’s been digitizing field observations ever since. Some people put together personal websites about their research journey. Some share over Twitter. And there are plenty of beta tools, open source or otherwise, that people play with. We’ve both enjoyed using Pinterest for our research projects. Here are some points on how we use it and why we like it. When you start, think of this as your research tool and your resource. If you dedicate yourself to this as your primary archiving system for digital artifacts you are more likely to build it up over time. If you think of this as a social media publicity gimmick for your research, you’ll eventually lose interest and it is less likely to be useful for anyone else. Integrate it with your mobile phone because this amps up your capacity for portable, taggable, image data collection. Link the board posts to Twitter or your other social media feeds. Pinterest itself isn’t that lively a place for researchers yet. The people who want to visit your Pinterest page are probably actively following your activities on other platforms so be sure to let content flow across platforms. Pin lots of things, and lots of different kinds of things. Include decent captions though be aware that if you are feeding Twitter you need to fit character limits. Use it to collect images you have found online, images you’ve taken yourself during your fieldwork, and invite the communities you are working with to contribute. Backup and export things once in a while for safe keeping. There is no built-in export function, but there are a wide variety of hacks and workarounds for transporting your archive. Pinterest makes it easy to track the progress of the image data you gather. You may find yourself taking more photos in the field because they can be easily arranged, saved and categorized. Using it regularly adds another level of data as photos and documents captured on phone and then added on Pinterest can be quickly field captioned and then re-catalogued, giving you a chance to review the visual and built environment of your field site and interrogate your observations afresh. Visually-enhanced constant comparative methods: post-data collection, you can go beyond notes to images and captions that are easily scanned for patterns and points of divergence. This may be going far beyond what Glaser and Strauss had imagined, of course. Perhaps most important, when you forget what something looks like when you’re writing up your results, you’ve got an instant, easily searchable database of images and clues to refresh your memory. It’s great for spontaneous presentations. Images are such an important part of presenting any research. Having a quick publically accessible archive of content allows you to speak, on the fly, about what you are up to. You can’t give a tour of your Pinterest page for a job talk. But having the resource there means you can call on images quickly during a Q&A period, or quickly load something relevant on a phone or browser during a casual conversation about your work. It gives you a way to interact with subjects. Having the Pinterest link allows you to show a potential research subject what you are up to and what you are interested in. During interviews it allows you to engage people on their interpretation of things. Having visual prompts handy can enrich and enliven any focus group or single subject interview. These don’t only prompt further conversation, they can prompt subjects to give you even more links, images, videos and other digital artifacts. It makes your research interests transparent. Having the images, videos and artifacts for anyone to see is a way for us to show what we are doing. Anyone with interest in the project and the board link is privy to our research goals. Our Pinterest page may be far less complicated than many of our other efforts to explain our work to a general audience. It makes digital artifacts more permanent. As long as you keep your Pinterest, what you have gathered can become a stable resource for anyone interested in your subjects. As sites and material artifacts change, what you have gathered offers a permanent and easily accessible snapshot of a particular moment of inquiry for posterity. One of us is a Windows Phone user (yes really) and it would be great if there was a real Pinterest app for the Windows Phone. One touch integration from the iPhone, much like Twitter, Facebook, and Flicker from the camera roll would be great (though there is an easy hack). We wish it would be easier to have open, collaborative boards. Right now, the only person who can add to a board is you, at least at first. You can invite other people to join a “group board” via email, but Pinterest does not have open boards that allow anyone with a board link to add content. Here’s a look at our Pinboards: Phil Howard’s Tech + Politics board, and Nikki Usher’s boards on U.S. Newspapers. We welcome your thoughts…and send us images! This Summer I became very interested in what I think I will be calling “legal portraits of digital subjects” or something similar. I came to this through doing a study on MOOCs with SMC this summer. The title of the project is “Students as End Users in the MOOC Ecology” (the talk is available online). In the project I am looking at what the Big 3 MOOC companies are saying publicly about the “student” and “learner” role and comparing it to how the same subject is legally constituted to try to understand the cultural implications of turning students into “end users”. As I was working through this project, and thinking of implications outside of MOOCs and Higher Ed, I realized these legal portraits are constantly being painted in digital environments. As users of the web/internet/digital tools we are constantly in the process of accepting various clickwrap and browse-wrap agreements without thinking twice about it, because it has become a standard cultural practice. I’ve gone through and read some of the Terms (some of them I cannot find). I’ve allowed for the licensing and reproduction of this work in multiple places without even thinking twice about it. We talk a lot about privacy concerns. We know that by producing things like blog post, or status updates we are agreeing to being surveilled to various degrees. I’d love to start a broader conversation on the effects of agreeing to a multitude of Terms though, not just privacy, simply by logging on and opening a browser. Yet digital inequality scholarship is also limited in some fundamental, and I believe hazardous, ways. To defend these claims, I will draw on an in-depth ethnographic study of an ambitious attempt to combat digital inequality: a new, well-resourced, and highly touted public middle school in Manhattan that fashions itself as, “a school for digital kids.” It is hard to imagine a more concerted attempt to combat digital inequality, and yet the school paradoxically helped perpetuate many of the very social divisions it hoped to mend. In-depth ethnographic studies can help us understand these outcomes, and they can provide us with tools for forming more accurate conceptions of relations between digital media and social inequalities. I will call this school, which opened in the fall of 2009, the Downtown School for Design, Media and Technology, or the Downtown School for short. Supported by major philanthropic foundations, and designed by leading scholars and practitioners from the learning sciences as well as media technology design, the Downtown School braided digital media practices, and especially media production activities, throughout its curriculum. They had enviable financial, technological, and intellectual resources, and they recruited an atypically diverse student body for a New York City public school. About half the students came from privileged families where at least one parent worked in a professional field and held an advanced degree. And about 40-percent of students came from less-privileged families that qualified for free or reduced-price lunch; these parents and guardians often had some or no college education and worked in comparatively low-paying service work. All students took a required game design course, and the school’s entire suite of after-school programs were devoted to making, hacking, remixing, and designing media technology. 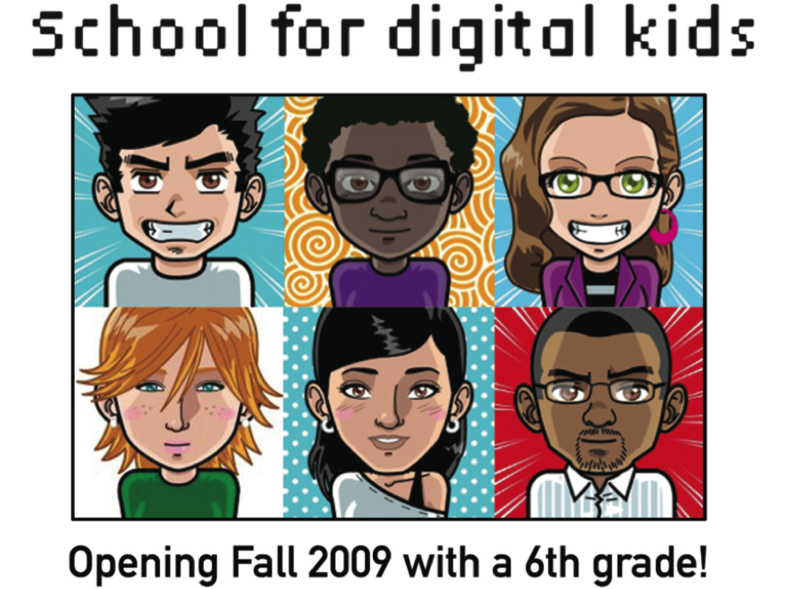 Digital inequality scholarship played a role in the formation the Downtown School and similar interventions. Concepts such as the digital divide, the “participation gap” (Jenkins et al. 2006), the “digital production gap” (Schradie 2011), or the “participation divide” (Hargittai and Walejko 2008) implicitly, if not explicitly, recommend and legitimate interventions such as the Downtown School. Since digital inequality scholars argue that skill differentials play a large role in producing digital inequalities, educational practitioners understandably craft interventions to reduce these differentials. 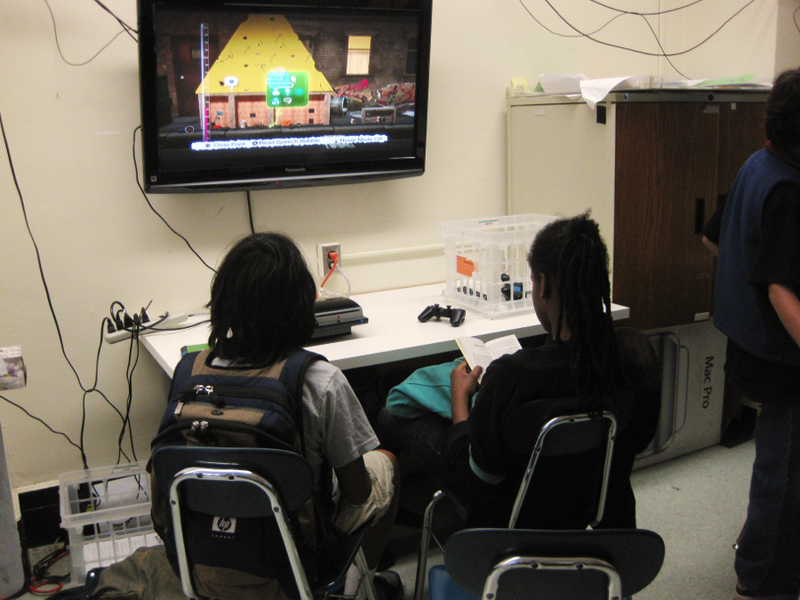 Students in the Downtown School’s required game design course. According to such a framework, the Downtown School was successful in many ways. Both boy and girl students from diverse economic and ethnic backgrounds learned to use digital media in new ways. In particular, students learned to use digital tools to be producers, rather than just consumers, of digital media. Through the lens of concepts like the “participation gap,” the school appears successful and should be quickly replicated. The problem though – and here is why we need ethnography – is that while the Downtown School arguably helped close the participation gap, it also helped perpetuate historical social divisions, especially those rooted in gender and racialized social class. When the Downtown School opened, it attracted three boys for every two girls; three years after opening, the ratio rose to two-to-one. Only one girl student regularly participated in the school’s after-school programs focused on media production; most regular participants were boys from privileged families. By the end of the first year, all of the economically less-privileged boys in one of the school’s main cliques had left the school for larger, less-resourced schools that had a greater diversity of curricular and extra-curricular offerings as well as more of a dating scene. By the end of the second year, many of the less-privileged girls from another of the main cliques had also left the school. While their reasons for leaving were complex, they and their families suggested in interviews with me that the Downtown School was not a ‘good fit.’ By contrast, nearly all of the privileged students remained enrolled, and many of their parents were enthusiast boosters for the school. Why were many students, and especially many of the less-privileged students, not able or unwilling to take advantage of the purportedly beneficial opportunities afforded by the Downtown School? Digital inequality frameworks do not provide a satisfying way to answer this question. They do not see many of the factors that matter to people in different situations, nor the nexus of conditions and forces that shape what people do, and do not do, with and without digital media. Ethnography, in contrast, casts a much wider net that can help account for these conditions and processes. A few more examples will help clarify this point. On the ground, I observed and documented what students were doing when they were not taking advantage of the school’s purportedly beneficial activities. It turned out that most of the students spent their afternoon hours in familiar activities that predate the digital age: basketball practices, music lessons, swimming classes, learning a foreign language, dance classes, taking care of siblings and cousins, chores, and so forth. These activities meant a lot to students and their families, and many expressed a desire for the school to offer more diverse curricular and extra-curricular offerings. These activities were also integral to how students navigated and negotiated identity and difference with their peers at school (Sims 2014). This wider ecology of practices, as well as what participation and non-participation meant for those involved, would be invisible if one were to study the Downtown School using the digital inequality framework. And what a digital inequality approach would have captured and championed would have mostly reflected the interests and practices of those who were most privileged. One can still argue that social scientists, policy makers, and educational practitioners should do all that they can to close digital inequalities such as the participation gap. One can argue that doing so is in the best interest of those currently on the wrong side of the chasm. One can argue that treating digital inequalities is akin to dealing with a public health concern, or, more aptly, that it should be folded into broader efforts to mandate STEM education amongst all contemporary school children. In short, digital inequality scholars can admit that there is a prescriptive character to their efforts and that treatment is justified because it is in the best interest of the public as well as those being treated. This is a debate that can be had but it is not the debate that digital inequality scholars are currently having. In its current form, the digital inequality debate escapes these issues because it assumes that certain decontextualized “uses” will be universally appealing to people once barriers to participation – lack of quality access, skills, etc. – are removed. There is a sort of technology-focused ethnocentrism to these assumptions that prevents this potentially uncomfortable debate from ever taking place. If digital inequality scholars were to acknowledge the prescriptive character of their scholarship, a host of thorny ethical dilemmas would quickly surface: To what degree should social scientists, policy-makers, and educational practitioners force people to partake in participatory culture? To what extent do the ends justify the means? What exercises of power are legitimate? What liberties should be granted to those identified for treatment? And so on. These are difficult questions, and my guess is that most digital inequality scholars do not want to address them. My own feeling is that scholars should be extremely cautious in pushing for such treatments, whether domestically or abroad, even if they feel that their medicine would be in the best interest of the treated. The histories of various missionary and colonial endeavors – to name just a few charged examples – make the ethical and political hazards of such an enterprise all too clear. Note: This was originally posted at Ethnography Matters. Hargittai, E. & Walejko, G., 2008. 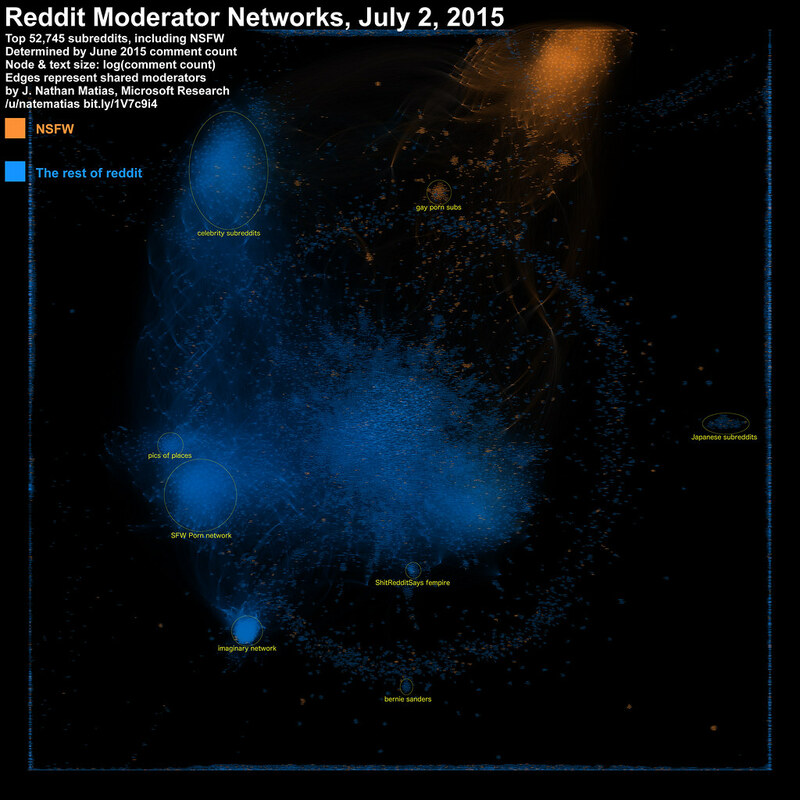 The Participation Divide: Content Creation and Sharing in the Digital Age. Information, Communication & Society, 11(2), pp.239–256. Jenkins, H. et al., 2006. Confronting the Challenges of Participatory Culture: Media Education for the 21st Century, Chicago, IL: The John D. and Catherine T. MacArthur Foundation. Schradie, J., 2011. The Digital Production Gap: The Digital Divide and Web 2.0 Collide. Poetics, 39(2), pp.145–168. At the 2012 iconference, I sat in on a fishbowl about human values and data collection. Hearing a vibrant discussion about research ethics related to the life of data was actually incredibly timely for me, in that lately I’ve been thinking a lot about the ethics of data gathering. In particular, I recently came across this research project while perusing a blog on body modification. Spearheaded by the Centre for Anatomy and Human Identification (CAHID) at the University of Dundee, Scotland, UK, the project intends to collect “images of body modifications to establish a database which may aid in the identification of victims and missing persons, for example in a disaster. By collecting a large number of images of tattoos, piercings and other body modifications, not only can we develop a more uniform way of describing those modifications but also establish how individualistic certain body modifications are within a population, social group or age group.” Essentially, people with body modification are being asked to submit images of their modifications as well as some personal information in order to generate statistical measures for the prevalence of various body modifications. In the blog post I read, the researcher emphasizes that “none of the images will be used for policing purposes simply because we don’t have permission to do so.” Presumably, the researcher felt it was important to emphasize this because one of the partners in the project is Interpol. Interestingly, in Interpol’s description of the project, there is no explicit mention of the fact that data will not be used to assist law enforcement. During the conference fishbowl, I raised this project as a case study for thinking about ethical tensions surrounding informed consent, risk/benefit analysis and the preservation of data gathering in social sciences research. My main question centers on how do we explain to participants the issues of data privacy? I don’t mean this in a pedantic way, where researchers are instructing hapless laypeople on the complexities of data curation. I mean, how do we balance a need to gather data from people with a concern for the life of that data? Can these researchers ensure that the information provided by participants won’t be used for purposes other than identifying bodies after a disaster? If the researchers conclude their involvement with a project, what influence do they have over the database they’ve created and the parties who have access to that database? IRB forms typically ensure that researchers outline how they will manage the destruction of data and require consent forms to address issues of privacy. The statement that researchers are prohibited from doing so because they don’t ask for that kind of consent from participants does little to quell my concerns about asking for personal data (moreover, for me, for documentation of bodies) which could then be used in nefarious ways by an international body of policing. To be fair, I’ve relied on the body modification community to conduct research on secrecy and stigmatized behavior and even with using consent forms and explaining privacy issues I can’t guarantee that all of my participants had thought through every possible contingency of sharing information with me. Yet to me, there is a qualitative difference between asking participants to share personal experiences with body modification and creating a database of images that is then shared with an agency like Interpol. My objective isn’t to slam this research project as ethically vacuous. My objective is to think about this research project as a case that illustrates concerns I have for privacy in the collection of mass information. Last fall, danah boyd and Kate Crawford wrote a terrific piece on provocations for big data and addressed ethical issues of large data sets. In addition to their concerns about the ethics of gathering and analyzing “public” data from Facebook or Twitter, boyd and Crawford ask, “Should someone be included as a part of a large aggregate of data? What if someone’s ‘public’ blog post is taken out of context and analyzed in a way that the author never imagined? 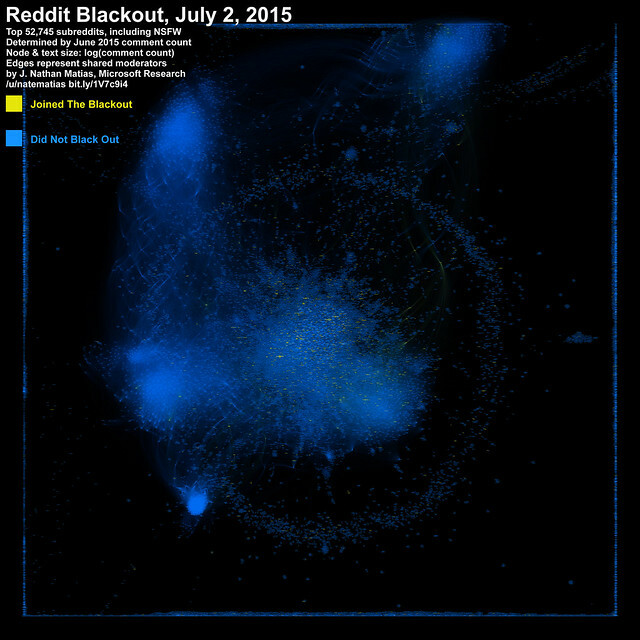 What does it mean for someone to be spotlighted or to be analyzed without knowing it? Who is responsible for making certain that individuals and communities are not hurt by the research process? What does consent look like?” These are questions that I would also apply to building repositories of private information that people submit willingly and with consent. One suggestion that came out of the iconference talk was to think about the metaphors we use to describe data (Is it a mirror? Is it a window?) and use that as a lens for thinking through some of the issues surrounding the ethics of data collection. What are the consequences of adhering to a particular set of metaphors about data in terms of how we talk to participants? These issues also suggest to me that researchers should take a proactive stance with IRBs, suggesting ways of holding ourselves accountable for the privacy and well-being of participants. I know I’ve been guilty of being a little vague in filling out IRB forms when it came to the benefits my project offers to my participants (I often say something kind of lame like, “It is hoped that participants will benefit from increased understanding of XYZ.”). For my own work, one thing that comes out of working through some of the issues provoked by the University of Dundee project is a more rigorous consideration about what risks and benefits truly mean for participants in my projects, not only in the process of conducting research, but in the long term of acquiring and sharing information gathered about participants’ lives.